Matt Banderas '04 is a Whitman graduate. Originally from San Diego, California, he relocated to Walla Walla and hasn't looked back. A photojournalist at heart, Matt strives to create imagery that is beautifully honest. He worked for nearly eight years as a photographer at the Walla Walla Union-Bulletin before circling back to Whitman. He lives with his wife, Margarita Banderas '05, and kids Nico and Sophia (future Whitties?). When not creating images, Matt is often playing outside, cooking (because that leads to eating) and cycling or playing soccer to balance out the eating. How have humans shaped their environment, and how has the environment shaped us? Tackling these issues with Associate Professor of History Nina Lerman. November 3, 2016 Seven student playwrights receive three prompts and have until the following morning to incorporate them into 10-minute plays. 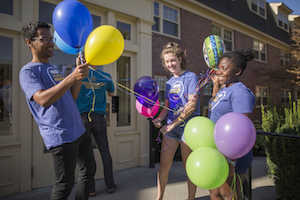 Follow Tara McCulloch '17 as she navigates this year's Instant Play Festival. September 8, 2016 The Empathy Exams was chosen from a list of more than 40 suggestions compiled for the 2016 Summer Read. August 26, 2016 In high school, this academically talented cohort achieved a median GPA above 3.8, and a median SAT score above 1950. August 25, 2016 This year's batch includes 427 new first year and transfer students from around the country and across the world. 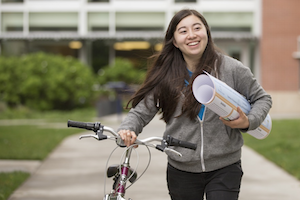 Whitman's alumni app developers convert new concepts into code. Professor of Biology Heidi Dobson and her students study the relationship between bees and the flowers they visit and pollinate, revealing more about the world of insects. In a historic discovery, the LIGO Project recently detected Einsteinian gravitational waves. Professor Greg Ogin, who was involved, explains what that means. Yes or no? You currently live near where you grew up. You regularly have experiences outside the neighborhood where you live. You identify as a person of color. You have held a minimum wage job. These are just a few of the questions posed to audience members during How to End Poverty in 90 Minutes (With 99 People You May or May Not Know). May 16, 2016 As students finished up the semester, many found themselves holed up in the library with final papers, studying for final exams or completing creative projects. 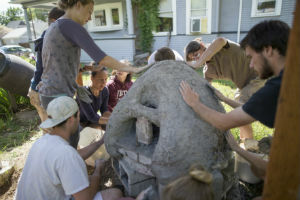 But one final project for an introduction to environmental studies course was particularly unusual: five students had to build an oven out of cob—a simple mixture of straw, clay and sand. 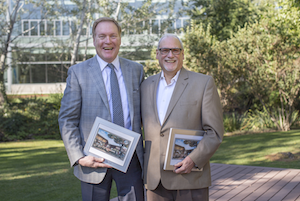 May 1, 2016 Since its inception in 2013, Whitties Helping Whitties has continued to grow in popularity, drawing record numbers to recent events in Seattle, Portland and San Francisco, the cities with the largest concentrations of Whitman students, families and alumni. 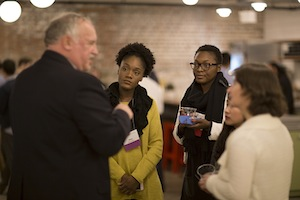 April 14, 2016 More than 150 students shared their work at the 2016 Whitman Undergraduate Conference, a yearly event dedicated to showcasing student research. 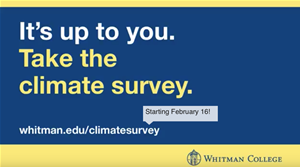 Whitman College climate survey approaches 40 percent participation in first two weeks. 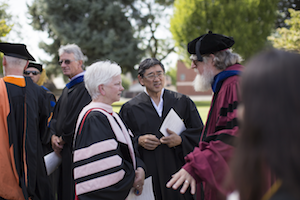 March 1, 2016 Whitman College has embarked on a landmark project to solicit feedback from all students, faculty and staff about what it’s like to live and work on campus.